In preparation for our fundraising event with 'Wheel Power', we were lucky enough to have a visit from a member of their team to talk to the children about the incredible work they do. The Organisation supports children and athletes to participate in sport regardless of their ability. They brought along 3 of their Paralympic torches to show the children. 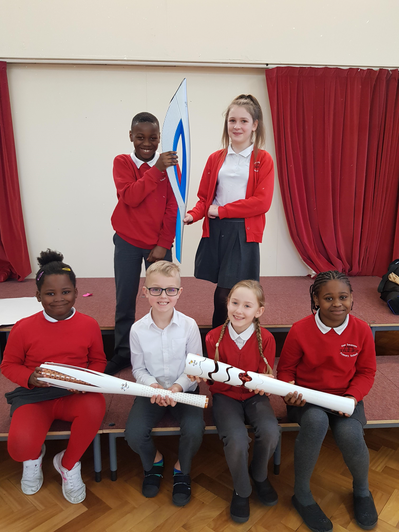 We are exciting to be fundraising for this charity run organisation and will look forward to their next visit where the children will take part in Paralympic style sports.